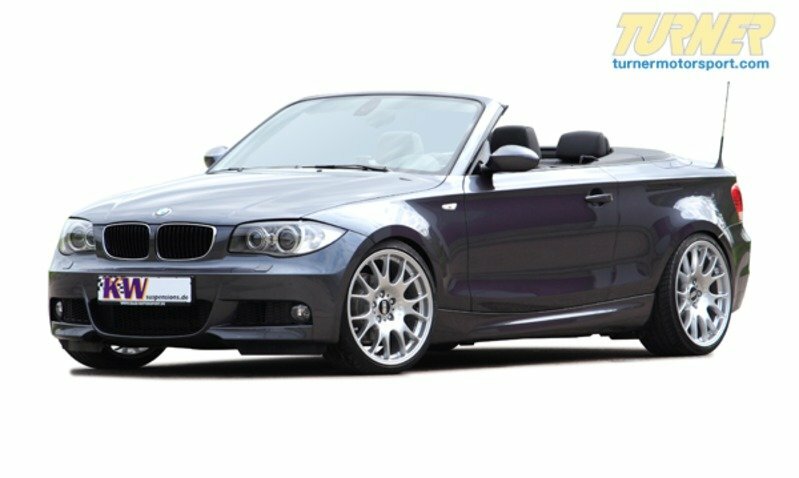 This is the ideal coil over kit for an E88 convertible owner who does not plan on tracking or autocrossing the car and just wants a lower, more aggressive stance and better handling. KW has set the shock damping rates to be an excellent balance for a smooth yet taut ride, and to resist bodyroll motions for better handling. 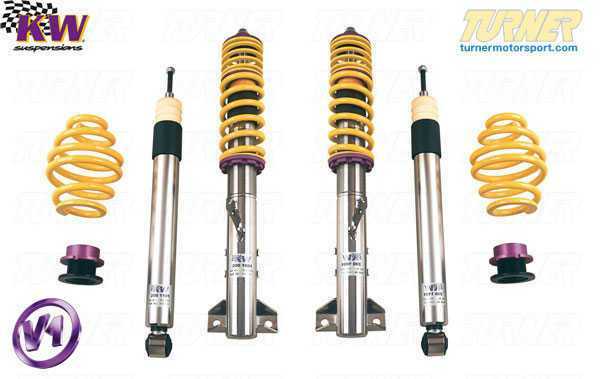 The Variant 1 differs from the Street Comfort set in that it has stiffer springs and revised shock settings. If you want a sportier ride and better handling than stock the Variant 1 is an excellent choice.